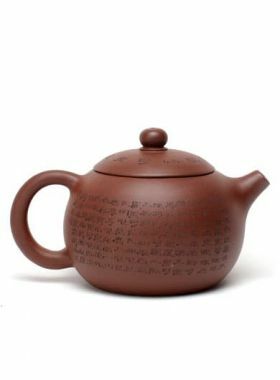 Laugh Maitreya and Chinese characters carves make this teapot with artistic feeling. 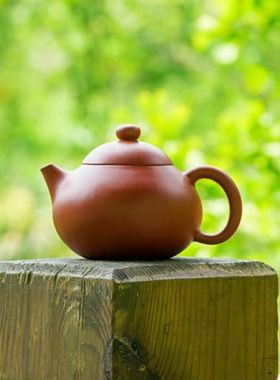 Duo is the pronunciation of 掇, as the name of this Duo Zi Teapot. Duo Zi is a container with big mouth, used for containing cooking oils, salt, sauce and other seasoners, often being moved. 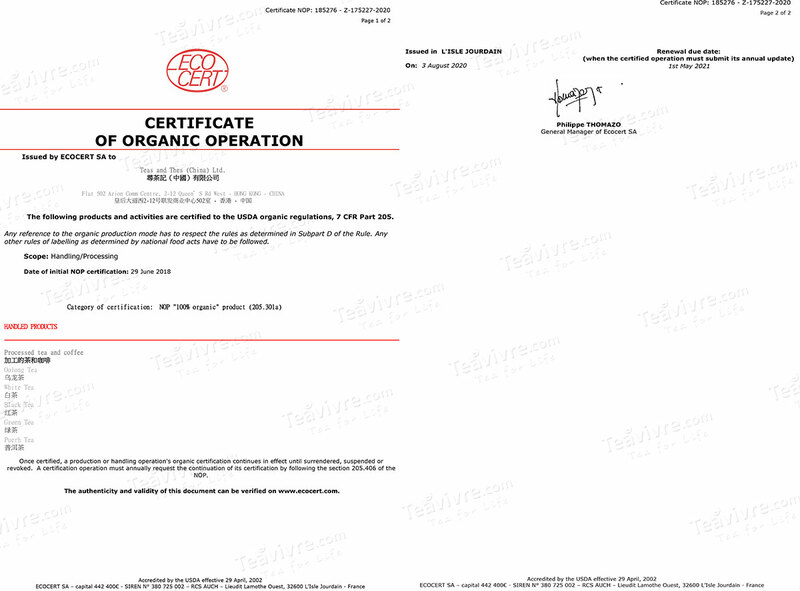 The word Duo refers to transfer or move. 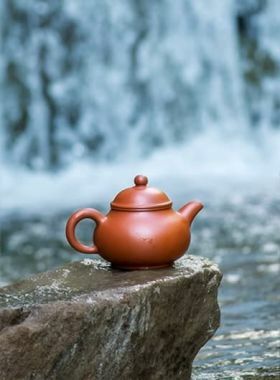 This Duo Zi Yixing teapot is made from Duanni, with elegant and special shape. The Buddha and Chinese characters hand carved on it makes it exquisite. Caozhou people like to brew tea with small teapot but the tea is quickly become cold. 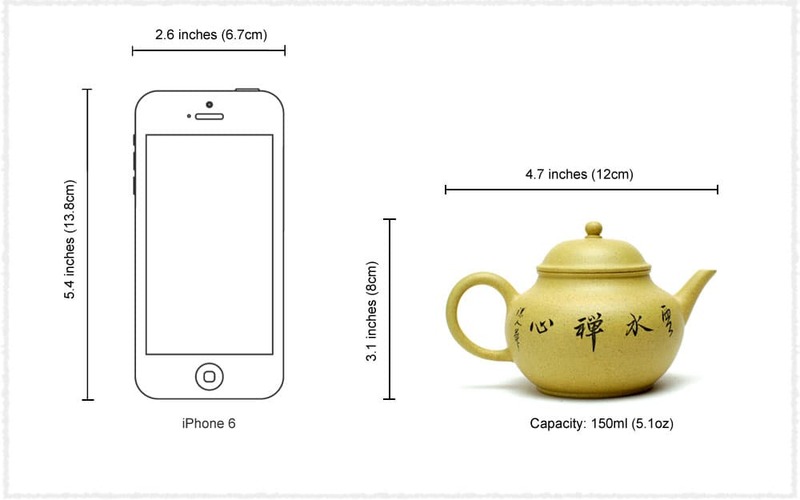 In order to keep the tea warm, they put the teapot in a big bowl full of hot water. To avoid water inpour into the teapot from the srout, the teapot maker designed this kind of spout upwards. Laugh Maitreya is hand carved on one side, which make it with deep Zen moral. Chinese character “云水禅心” is hand carved on another side, which means free and leisure all in cloud and water. 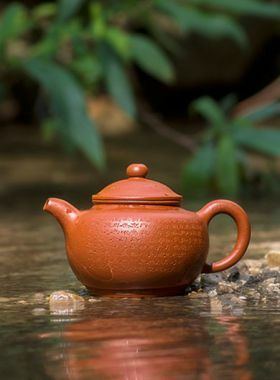 This Duo Zi Yixing Teapot is made of Duanni clay and handmade by local seasoned potter who are adept at making purple clay pot.